This is a simply divine combination of health-giving ingredients – and no clucking anywhere! 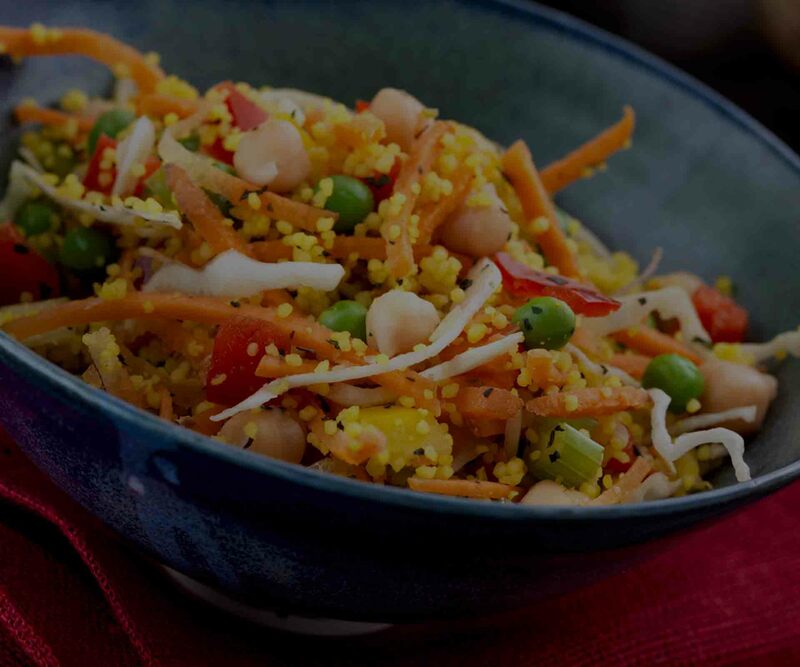 Contrary to its name, the Chick & Pea Salad is a vegan dish full of plant-based nutrition. Powered by protein-packed legumes, this is a light yet filling chickpea salad. 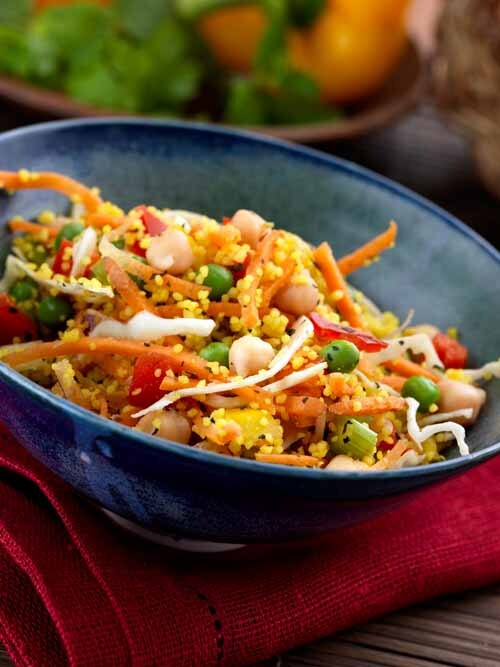 In addition, you have a bed of minty cous cous to add to the dish’s flavour and texture. Chickpeas, peas, carrots, cabbage, peppers, tomatoes, onions, parsley, celery, cous cous (durum wheat), organic lemon juice, soya sauce (GM-free soya beans, wheat, sea salt), mint, turmeric, olive oil.